“Passion. Dedication. Hard work. Perspiration. Success.” Building a career out of what you love & doing what makes you happy is fulfilling. IISM- International Institute of Sports Management is elated to be able to bridge the gap that lies between your passion & career. With an aim to build & empower young professionals who’d fit into the niche that has been carved within the sports industry, India’s pioneer & first of its kind institution offering sports management education is now geared up to welcome the next pack of leaders. 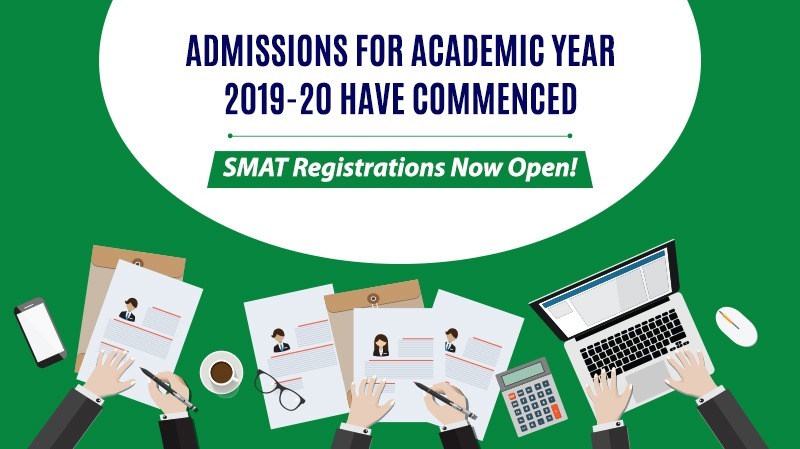 Registrations for SMAT – Sports Management Admission Test – an entrance exam toprocure admission for Sports Management programs at IISM have now commenced. SMAT caters to a very specific domain and candidates are tested on their aptitude in Math and English, however there’s a major focus on their interest and knowledge in various sports as well.It is created for the students from any educational and geographical background, who have keen interest in sports and have desire to make a career in sports management. SMAT will be held at select cities across India. Each city will have a dedicated test center with limited number of seats. The allocation of seats shall be based on first come first serve basis. On successfully passing the SMAT Test, each student opting for MSM/PGPS&WM Program will have to submit a SoP (Statement of Purpose) while those opting for BSM will have to submit an Essay (based on topics given to them related to sports and social issues). Post that, students opting for MSM/PGPS&WM will get shortlisted for a Personal Interview while those opting for BSM will be shortlisted for a Personal Interaction. You can refer to SMAT Sample Papers, here. You can check out some tips to crack SMAT, here. You can apply for SMAT, here.